What’s Driving the Student Protests Paralyzing Albania’s Universities? 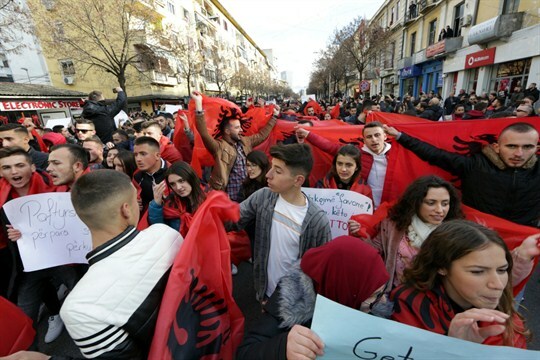 University and school students wave Albanian flags as they protest in Tirana, Dec. 11, 2018 (AP photo by Hektor Pustina). Editor’s Note: This article is part of an ongoing series about education policy in various countries around the world.